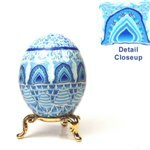 If you love intricate Russian-Ukrainian egg designs, you will be fascinated by these designs. You can't get much more intricate than these. 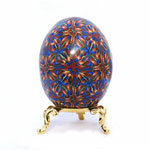 The kaleidoscope designs are unlimited in possibilities, can be done in any color combination and are hugely popular. 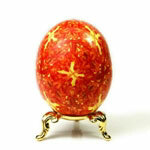 Though the same design will be used on more than one egg, each one is done by hand, therefore each one is a little different. Also, these designs come from a polymer cane, where the design is built in. 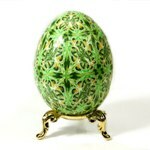 Each cane is unique and cannot be replicated, so these eggs are limited editions.